Masonry Repairs Are Our Specialty! A chimney crown is an important part of chimney construction. It is the ‘roof’ for your chimney, protecting it from the elements and stopping water from seeping into the masonry. Chimney crowns should be made from cast-in-place concrete; however, it is common to see them made from an improper mortar mix that just isn’t up to the job. If the chimney crown is not constructed from the right materials, exposure to the elements and heat from the fire can cause the crown to crack and crumble. But it’s not just the materials used in construction that matter – it’s the construction itself! Crowns should also be the correct size, thickness, angle, and shape for the chimney. A poorly constructed chimney simply won’t do its job properly. Why Repair A Damaged Crown? It is important to repair any damage to the chimney crown as soon as possible, as it is the most common culprit of chimney leaks which can be extremely damaging. Water inside the chimney can erode the bricks and mortar, as well as rust and destroy the metal components of the chimney system and fireplace. Unfortunately, crown damage and leaks often go unidentified until extensive damage has been done. Our qualified technicians should inspect your chimney crown for signs of damage annually, as cracks often go unnoticed. If left unfixed, a damaged chimney crown leads to further water damage and costly repair work. For chimney crowns that have deteriorated beyond repair, a replacement crown is the recommended option. If you need a rebuild, the experts here at DNA'S Chimney Sweep services have the knowledge and expertise to provide you with a beautiful, durable, and effective new chimney crown. If the chimney crown is cracked in places, but is otherwise properly built and in good condition, it can be repaired with products such as CrownSaver. When applied properly, CrownSaver seals cracks, forms a waterproof seal, and protects the chimney crown from further damage. the DNA's Chimney Sweep Services Certified Team Has Your Back! When you need a chimney repair, you want it done quickly and you want it done right. At DNA's Chimney Sweep Services, we have over 20 years of industry experience. Our team is experienced in all types of chimney crown repair and rebuild services, and we guarantee all our work. 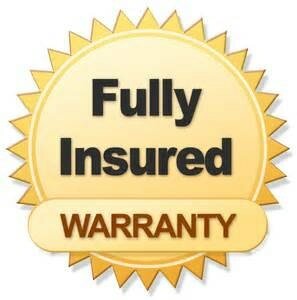 We are also accredited and insured, so you can have every confidence in our qualified technicians. If you need a chimney crown repair or rebuild, call us today at (510) 200-9775 to speak with one of our qualified team members or click here!